If you’re considering a skiing holiday, the first thing you’ll need to decide is where to go. Think of the Alps, and chances are you’re automatically think of Switzerland and France…but the Austrian Alps are a great destination too. 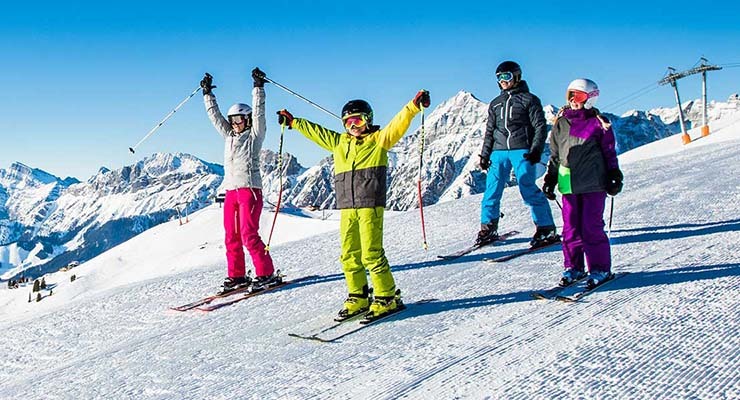 A ski holiday in Austria generally costs less, and there are some great deals available at the moment for the first week of the New Year, before children go back to school. So, to make sure that everybody gets the most from a trip, here’s our guide to the best ski resorts for beginners in Austria. Alpbach is a real jewel in the crown – because it has a massive 145km of pistes, collectively known as ‘The Ski Jewel’. There are lots of lower, easier options for beginners to learn and improve their skills on. And if you do become more ambitious, the same ski pass covers you for the entire area, so you can try something a little more advanced too. Alpbach village itself is one of the most picturesque in Austria. It’s renowned too for a real family-friendly après ski atmosphere. This site is surprisingly undiscovered, for one that offers so much. Not only is there skiing for all skill levels, but there’s lots more to provide family entertainment too. These other attractions include three snow parks, snow cannons, horse-drawn sleigh rides, and a large indoor playzone for younger children. Added to that is free wifi in outdoor areas on the slopes, to keep everybody occupied! The village itself abounds in traditional architecture, including the highest church spire in the province. Transfer time: Approx 1 hr 30 mins. Niederau is close to Alpbach, and its slopes also form part of ‘The Ski Jewel’. Its learner slopes are particularly wide, so you can veer off course without too much fear of coming a cropper! There are many specialist beginner snowboarding runs too. Nightlife is a little limited compared to other resorts, but that may be a plus for a family holiday. Meanwhile, another local attraction is the Wave Water Adventure World, five kilometres away. Rauris is great for beginners – and perfect for novices who’ll want something more challenging by the end of their holiday. That’s because it’s got ‘The Fun Slope’ – a 700m long adventure with banked turns, waves, kickers and a ‘snail’. If you’re not as confident, the nearby ‘Nugget Park’ offers rookies a chance to get their first taste of air, with a series of graduated jumps. There’s also a specialist banked course for younger skiiers. Rauris was originally a goldminer’s village, and has a character all of its own. It would make a truly memorable holiday. Transfer time: Approx 2 hrs.